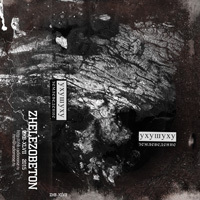 The third studio album by the St. Petersburg-based group Uhushuhu continues the line of the two previous works: "Long Songs Pleasant For Hearing" (Zhelezobeton, 2014) and "Onega" (ΠΑΝΘΕΟΝ, 2015), namely - long spatial tapestries filled with a whole host of electronic and organic events drifting on a leisurely contemplative wave. One can listen to this music endlessly, it seems to be created of several layers of semi-transparent mirrors reflecting everything that comes in the field of the musicians' imagination: smooth synthetic pads, singing birds and (perhaps?) whales, radiowaves and a heavenly female voice, lurking whispers, instrumental loops, field recordings and various found sounds. All this creates a complex electro-acoustic image, surely still pleasant for hearing to the connoisseurs of the ambient genre. The release on digital media also contains the video version of the album with a special fractal visualization, the dance of mathematic formulae programmed by programmed by VJ B≜H⊗G (UtrovortU). Analogue version - 55 copies on black audio cassettes with stickers, two-sided full-colour cover. Back in Vital Weekly 933 I thought this was the project of Daniil Kharms, but now the information says 'group', so who knows, maybe there is some extra band members. Besides the previous released work, there just one other release. On 'Geoscience' we have four lengthy pieces of music, but obviously not as lengthy as the previous two releases. Unlike the other two releases, it seems to me that Uhushuhu uses a lot more sound sources than just a few synths and field recordings. Intercepted radio transmissions, lots of sound effects, lots more field recordings, loops and voices, whispering, sighing and such like. It makes up some highly vibrant music. Ambient, yet vibrant. It moves and it shakes, like a firm walk in the woods - or better like a fairy tale flying through woods, across hills, swamps and such like connotations. Music for a great fantasy movie. Especially 'Loam Glade' is a great piece in that respect, a lovely lush piece of whispering ghosts and bird twitter set against a finest set of electronics. Along with the music on CDR there is also a DVDR with 'special fractal visualization' by VJ B?H?G, which looks actually not too bad, but I'm afraid this is the kind of the stuff that doesn't much for me. I can watch this with some interest, I can see it's all right, but then I start thinking: why this? What does it mean? Is there supposed to be a connection? That sort of thing. I can see that people would like this though. Here we have a gorgeous set of recordings from the mysterious Russian drone collective Uhushuhu. The name of project is the transliteration of the call for the Barred Owl, a creature that inhabits the northern climates of Eurasia as well as North America. While Uhushuhu maintains a cryptic distance to their semantic attachment to the owl, these birds do have a different connotation in Slavic traditions than in Europe and America. Instead of wisdom, owls (in particular, small owls which the Barred Owl is not) are harbingers of death and disaster. Geoscience, the third production for Uhushuhu, does not seem to carry those allusions. But there is a deeply transcendent / quasi-mystical channelling that Uhushuhu dials up on Geoscience. They take a macro / micro view of the Russian forest itself - this monolithic, nearly impenetrable thicket of pines, birches, and lots of mosquitos that extends some eleven timezones (if Negativland is to be believed). Huge sweeping Aeolian drones seem to match the complex wind patterns of that cross back and forth from the arctic circle down to the Central Asia steppes, with tactile flurries of bark, branches, and beetles carrying about unconcerned to the blurred sound of the wind. These environmental recordings and mimetic sounds accompany a far more hallowed set of electrical and harmonic intonations far more commonplace in the holy minimalism of LaMonte Young or Charlemagne Palestine. Not necessarily a dark trip, but certainly a gripping one. The accompanying dvd-r features a 54 minute video of algorithmic animations that fractalize into crystalline structures and shatter into component parts in densely thickets of light. Quite lovely! Hand numbered and limited! This Russian collective take their onomatopoetic name from the call of the great horned owl as heard in their native tongue (the mnemonic in English is the quaint "who cooks for you"). Uhushuhu have specialized in the long distance stare and deep concentration of that particular bird in their handful of impressive micro-edition recordings. Geoscience is no exception. 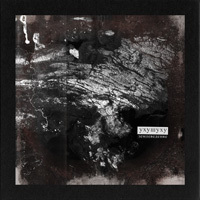 A world-weary animism transmits through the sustained tone float dispersion, alluding to the private rituals made public in the dub-tape of :zoviet*france: and Vidna Obmana. Each of the four longform tracks girds to a fundamental drone of fluctuating density with layers of kosmische electronics, detuned radio crackle and environmental bluster gently pushing through a well crafted veil of altered state miasma. The accompanying video features a neon saturated, computer animation with the unaltered album as the soundtrack. The difital filigree of the video doesn't wholly serve the wondrously organic fluidity of the sounds themselves. Another drone ambient album with the elements of field recordings enters my home and this time it is the newest album from the band with an exotic name Uhushuhu. Brutal Resonance reviewed their previous record in the past; it was released through the famous label from Saint-Petersburg called Zhelezobeton. I remember this CD to be a really massive creation binding dense textures of artificial sound with the natural environment of forests and fields. But who could imagine that very fast I would receive another album from this project packed in a beautifully designed carton folder. There was one more surprise that had been waiting for me inside this package and that was a bonus DVD containing the same tracks, but guided by a visual representation very similar to some standard plug-ins for Winamp or Media Player. The new chapter from this spiritual band sets the new level of the union with the nature elements; a big amount of various samples is mixed together with mysterious analogue impulses. "Geoscience" contains four long meditative tracks and I am sure that fans of achieving awareness through enlightenment and contemplation will be more than happy to lay their hands on such a material to support them on their thorny pass to self-knowledge. All of the tracks have some kind of a melody, but it has almost no role in story-telling, though its contribution to the general atmosphere cannot be underestimated. Unlike pure field recordings albums that aim to set a direct connection with a living space or environment, records with strong drone components like in "Geoscience" use impressions from the world around as a tool or an instrument to open wide the horizons of imagination and try to create a stronger meditative mood. The album is opened with "Firm Ground" and I am able to witness an absolute transformation of reality through sound materials right from the very beginning. An overwhelming flow of different soundscapes ensures an immersive listening experience. The same atmosphere is reviled through the "Loam Glade" where the artists operates with extremely thick textures crafted with a droning background melody and naturally captured effects from the world around. The existence of certain things and objects is beyond any definition of time that’s why the music of Uhushuhu is bound inside a constant loop of textures and layers, in a constant loop of creation and destruction. Samadhi state, when the mind and soul are in equal balance, is almost physically perceptible in "Windbody" with the complete transcending of the dimension of the infinitude of space and entering the dimension of the infinitude of consciousness. Sometimes it seems that the artist becomes only a conductor of the boundless energy and the sound of Uhushuhu is a language of this universal essence. In "Coal Harbor" the listener is being teleported to some other planet where continents are covered with extremely green grass under a crystal clear blue sky. No man stepped on the soil of this habitat, no man-kind interference polluted this virgin land, and there is nothing to prevent it from blooming and enjoying a calm course of life. This track is a sonic exploration of the artists’ influences and surroundings, an exploration of the things that shapes him, an exploration of the sounds he notices and ignores, the sounds that he imitates and the sounds that he cherishes. When creating such kind of music the artist finds himself speaking not only with his own creative self, but with the whole natural environment and this communication becomes the key element of that composition. Despite seemingly wide plains drawn through "Geoscience", this album carries enough intimacy to be able to speak with each and every listener in his own language having a deep effect on conception of listening. Some kind of a deep secrecy is being transmitted with an every minute of the music flow and this secrecy is very important for finding the ultimate inspirational resource of inner energy. I am not sure if the DVD material was so necessary to be included, but in the end it is only up to you to decide which picture will be more suitable for your personal meditative exploration, because mine is being revealed when I close my eyes and press the play button of my CD deck. ...Also from St. Petersburg, Uhushuhu is not only deep in the jungle but submerged in the South Pacific, picking up whale song of a more desperate quality, pining, combining with a living cacophony seemingly more distressed than in nocturnal revelry. And yet the very last thing you can make out, as the opening track “Firm Ground” finally fades out, is a little girl frolicking and calling to Daddy. Geoscience is earthbound rather than extraterrestrial, though uncannier than previous long-player Long Songs Pleasant for Listening. Over a loudly reverberant “Loam Glade,” jet planes soar and a female voice attempts song. The buffeting of an electrified windsock describes the direction and velocity of each gust of “Windbody” in a setting that, despite being obviously urban, is far more serene. In the end, Uhushuhu double back to the unfiltered nature of “Coal Harbour,” frothing breakers, singing seabirds, the organ boom of that huge body of water. Includes a bonus DVDR featuring “special fractal visualization” by VJ B≜H⊗G. Aus Saint Petersburg stammt die vorliegende Band mit dem etwas merkwürdig anmutenden Namen Uhushuhu, über dessen Hintergrund mir allerdings keine Informationen gegeben sind. Ein irgendwie düster anmutendes Artwork ist es, worin hier der dritte Tonträger gebettet wurde, der vier lange Vertonungen beinhaltet, welche stilistisch eine Melange aus Field Recordings und Ambient darbieten. Die Verschmelzung von elektronischen und organischen Bestandteilen erschafft hierbei ein komplexes Klanggefüge, dem viele Feinheiten beiwohnen, weshalb Uhushuhu für Freunde zu empfehlen ist, die sich gerne durch Schichten arbeiten. Denn nicht sofort lässt sich hierbei erkennen, wo die Klangquellen ihren Ursprung haben. Sicherlich kann man da spekulieren, aber es sind unter anderem die Laute von Walen, Vogelzwitschern, Radiowellen und auch eine Frauenstimme, was man hier erkennen kann. Instrumentale Loops gehören ebenso ins Repertoire und wer nun aufgrund dessen vielleicht vermutet, dass "Geoscience" eventuell einen sperrigen Charakter haben könnte, der liegt damit falsch. Im Gegenteil, ist das Resultat doch erstaunlich angenehm und zugänglich. Zudem kommt auch warme Atmosphäre zum Vorschein, was sich speziell beim zweiten Stück manifestiert. Was ebenfalls positiv ins Ohr sticht, ist die Gegebenheit, das sämtliche Darbietungen eine eigene Basis vorweisen können, was letztendlich nichts anderes verlautet, als das "Geoscience" ein variables Gesicht birgt. Fazit: Wer experimentell angehauchte Kost mit organischem Charakter mag, der sollte diesem Werk ruhig mal eine Chance geben. Aufgrund der recht leichten Bekömmlichkeit ist es im Grunde genommen völlig egal, zu welcher Stimmung man mit Uhushuhu in Kontakt tritt. 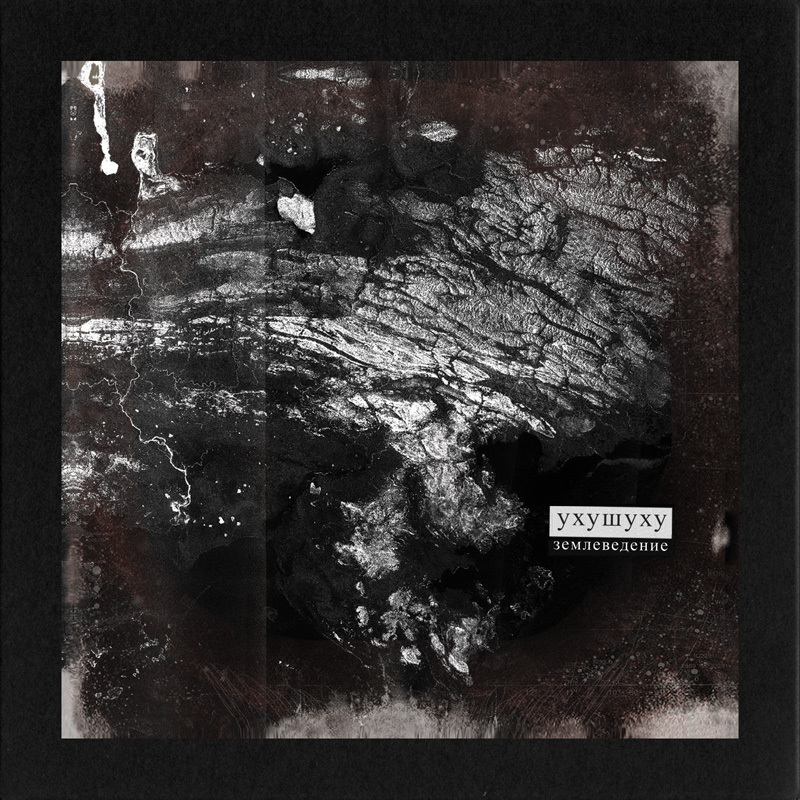 Von dem düsteren Artwork sollte man sich übrigens nicht täuschen lassen, denn als Dunkel lässt sich "Geoscience" kaum umschreiben, weshalb man hier auch mehr Ambient als Dark Ambient zuordnen kann.